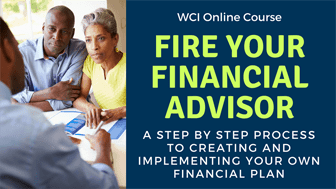 Earlier in 2018, the White Coat Investor debuted his first online course, the provocatively titled Fire Your Financial Advisor. The course may not have won him many friends in the financial services industry, but it has given him hundreds of happy course graduates who now feel empowered to create their own comprehensive financial plan and manage their own investments. I considered completing the course myself and writing a review of my own, but I know I’m not the target audience. I’ve never had a financial advisor to fire and I’ve been managing my own investments for years. I did, however, watch a significant portion of the course, and I shared my thoughts on the course here. To get an outsider’s perspective on the course, I reached out to a young couple that expressed an interest in being test subjects. She’s an early-career physician; he has a corporate job. She wears the white coat and his job is white collar. They are soon to be married and ready to start managing their finances together. I asked them a series of questions before and after taking the course. I’ll share those answers below along with a copy of the actual written financial plan they created after taking the course together. Slight edits have been made to maintain their anonymity. Let’s start with a series of questions they answered before starting the course. PoF: What are your biggest challenges when it comes to managing your personal finances? Her: Getting started. I’ve tried a couple of times – I read some blogs, I read some books and then I get stuck. I have a hard time using the blogs because I feel like there is too much material I have missed – I don’t like starting in the middle. I feel like the books I have read are either too simple or start out too complex. I’m pretty good at making a budget (I can’t say I always KEEP my budget … but I’m good at making new ones) but I get overwhelmed when it comes time to talk about saving money for the future. I get stumped when I reach the actual process of transferring the money into an “investment”. I’m not sure of the practical process of starting to invest. And, I make sure to max out my 401k and top hat accounts, but have no idea what actually happens to that money. Him: Finding time to research new investment opportunities and keeping a balance among investments. PoF: Do you believe you have adequate insurance in place? What policies do you own? (disability, term or whole life, umbrella, etc…) How did you obtain it? Her: I do think I have adequate insurance. I’m currently engaged with no dependents. I have disability through a policy I bought during residency and a second policy through my employment. I have home/car insurance and a separate umbrella policy. I don’t have life insurance. My family uses an insurance agency, so I went to them for mine. Him: I currently have disability, term or whole life, umbrella, Auto. I obtained them through work and my bank’s internal agency. PoF: Who currently manages your investments? Do you use a financial advisor? If not, how did you select the investments in your retirement accounts? Her: My investments are currently managed by default. My paycheck has the automatic deductions going into my retirement accounts. The hospital has advisors for us through Voya, who has been the financial advisor I have met with. The investments in my retirement accounts were selected for me, a standard set up. Him: I manage them, doing personal research and financial profile recommendations through my bank. Over the course of several months — busy jobs, summertime, and wedding planning were keeping them busy — they worked their way through the 12 course modules, 12 quizzes, and optional 50-question final exam. With seven-plus hours of video content, the course could be devoured in one weekend if you’re on a short timeline. 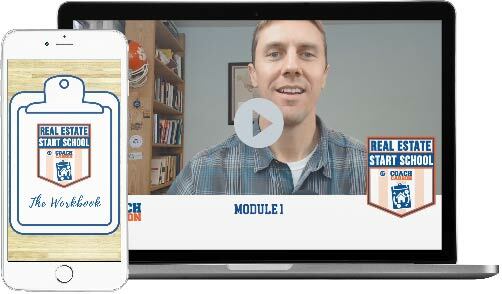 The modules, which are a mix of written slides and filmed speaking, are content-rich and it can be a lot to take in at once, especially if you’re not familiar with many of the concepts and terms discussed. It’s best to take the course on a computer or as this couple did, on a large screen television attached to the computer. The irony of learning to be fiscally responsible on a 65-inch 4K HDTV was not lost on them. For reinforcement, Apple users can also listen to the course modules via the iOS Teachable app on phones and tablets. Given the amount of video content, I wouldn’t make this my primary learning method but would recommend listening as a refresher or review on your daily commute. The course promises to walk you through creating your own written financial plan, and Dr. Dahle does a great job of guiding you step by step. Note that this is much more than a basic investor policy statement. The written plan you come up with after taking the course includes not only investing, but also plans for insurance, debt reduction, asset protection, and estate planning. The following is the actual written financial plan this couple will be using. Names and places have been removed. The purpose of our financial plan is to lay out a guideline of saving and investment to work toward a goal of secure retirement. We recognize this is a first draft and will plan to re-evaluate and update our plan in 1 year. Purchase a lake house when financially feasible. We will maintain home and property insurance for replacement value of home and contents. We will maintain full coverage on our vehicles. We will look into combining our individual plans once we are married. We will maintain a $2 million umbrella policy. Malpractice insurance is maintained through employer. 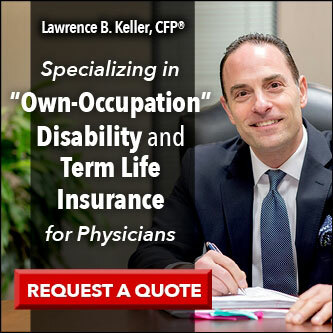 We will each maintain our individual disability insurance policies. She has an additional policy through her employer. We will maintain an emergency fund for large household expenses and a separate savings account for 3 months worth of expenses. Our current home, after selling costs, currently has only $12,000 in equity. This is our “doctor” home. We would like to buy a lake house when we have paid off our mortgage and saved enough for down payment of 20%. We will shift more funds toward paying down our mortgage once our student loans have been paid off. If needed, we will refinance our current mortgage in 10 years. 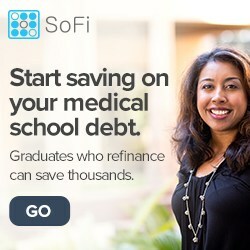 She has $281,175 in medical school student loans (all federal). She is currently working at a non-profit institution, participates in income-based repayment, and recertifies her Public Service Loan Forgiveness payments annually. Currently on track for loan forgiveness in 4 years. Once loan balance is forgiven, the monthly payment will be reallocated to mortgage payment plan. Fund for Lake House: Begin saving once our primary residence is paid off. We plan to commit our paycheck bonuses (three times a year for him and annually for her) toward investments. 2 Bedrorom/2 Bath rental Property Projected Cost $270,000. We will have a will in place by 1 June 2019. No Guardian needed at this time. We will meet with an estate planning attorney for a revocable trust as soon as we become millionaires. The beneficiaries and secondary beneficiaries are set on all of our accounts by 1 June 2019. We will max out retirement accounts each year. We will pay down the mortgage with discretionary income as our home equity is protected in our state by tenancy by the entirety after we are married. We will maintain our umbrella and malpractice policies. We recognize this is our preliminary plan. We re-evaluate in 1 year and then every 2 years thereafter. [PoF: I like the plan to consider the lake home after the mortgage on the primary home is paid off and a down payment has been set aside. 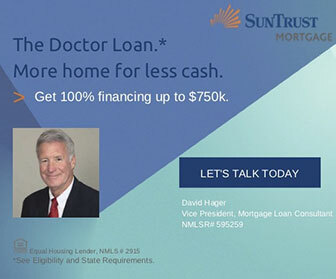 Most physicians would take on a second mortgage without thinking twice. I think it would also be reasonable to buy the lake home with cash while keeping a primary mortgage. Depending on the size and cost of the lake home relative to their primary home, this might get them on the lake sooner. The $5 Million goal sounds like a lot, but keep in mind that is 30 years away. The Rule of 72 tells me that with 2.4% inflation, the spending power will be cut in half three decades from now. With the historical average of 3% inflation, it will take only 24 years for that $5 Million to be worth $2.5 Million in today’s dollars. I suspect this could be a moving target depending on actual inflation numbers and the speed at which they make progress towards the goal (which I believe will be accelerated now that they’ve got a written plan). $250,000 in a 529 Plan sounds like a lot per child, but again these are unborn children, so this money wouldn’t be accessed for another 20 years or so. Higher education may look drastically different by then. This is another number that may be altered at some point when they perform their biennial reviews. Having completed the Fire Your Financial Advisor course and written their plan, I wanted to hear their thoughts on the experience. I asked for an honest assessment and suggestions for course improvement. 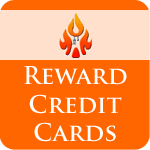 PoF: Looking back on your biggest challenges, did you find information to help you with those aspects of personal finance? Section 9, the lecture on creating an investment plan was helpful, but I would love to see an even more in-depth guide or recommendation of a good beginner book here. PoF: Can you list ten things you learned that you did not know beforehand? Best to avoid insurance-based investments. PoF: Have you implemented any changes / What changes do you plan to implement soon? Her: We were both already using a budget, but we have both looked at fixed expenses and committed to lowering them in the future (ie, avoiding buying vehicles on credit). We have a plan for investing outside our current employer retirement plans. After we are married (in a few months) we plan to establish a will and complete some basic estate planning. Establishing a timeline to manage the plan. Revisiting the plan annually and after change is personal circumstance i.e. wedding, birth of children and purchase or sale of home or investment property. Setting up LLC protections for toxic assets. 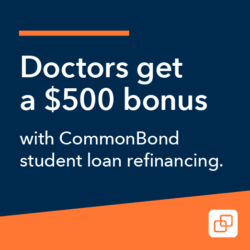 Formalizing a loan repayment strategy for student loans and mortgage repayment. PoF: What was your least favorite part of the course? How could it be improved? Her: I struggle to watch lectures; my attention span is the size of a gnat. I think it would have been easier if we could have downloaded the lectures to watch on the go (i.e. during air travel or to areas with spotty internet). I would be interested in another lecture that talks about how to be more proactive in managing a 401k. I would also be interested in more lectures about how one actually goes about putting money into a mutual fund, or buys bonds, etc – more of how to function as your own financial planner. Him: As a general overview, I feel there needs to be an additional chapter that deals with a timeline evolution of an individual’s financial needs pulling many of the course element together. Starting as a resident: provide a makeshift budget with insurance needs, student loan advice, beginnings of investment portfolio. Next section: an attending doctor, newly married, expecting a first child to provide a makeshift budget with insurance needs, first home purchase, changing needs of an investment portfolio. Lastly, doctor on the eve of retirement. PoF: Would a $499 investment in this course be a worthwhile use of your hard-earned dollars? Why or why not? Her: I think it definitely was. I don’t necessarily feel like I am ready to fire my financial planner, but I do at least feel like they won’t be able to take advantage of me when I see them and I feel comfortable limiting how much I use them. I think the guidance on writing a financial plan alone would be worth the money – particularly if you are paying to see a financial planner to go over a financial plan. I think the course gives a basic understanding in a well-formatted outline. 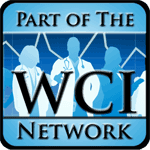 I had previously read the WCI book, and I think this course went one step further than the book. Him: Yes, it provides a solid framework for a financial plan with enough depth. 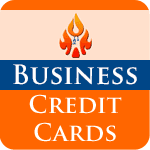 If you are unsatisfied with your purchase for any reason, you can receive a full refund within the first seven days after enrolling in the course. By enrolling via a link from my site, I will receive a commission, and as I do with all of my profits, I’ll be donating half to charity. You Don’t Have to Fire Your Financial Advisor! If you would like help with your finances, but are not interested in going it alone, I’ve collected a list of some of the best fee-only, fiduciary, low cost financial advisors who routinely work with physicians with costs in the range of $1,000 to $10,000 dollars a year and no “routine” AUM fees. See my recommended financial advisors. 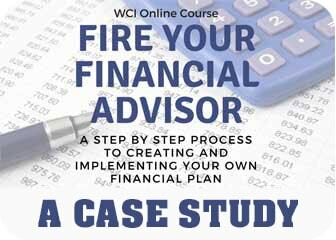 If you do choose work with a financial advisor, the cost of the course may still be worth it. As a course graduate, you’ll be much better prepared to ask the right questions and be able to discern whether or not you’re getting solid advice at a fair price. This is one of those investments that can easily pay for itself a hundred times over. Have you taken the course yet or a similar course? What would you find most valuable in an online course? Would you like to see one from me someday? 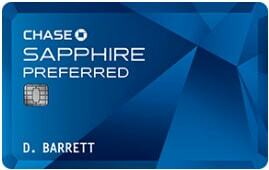 I commend your taking great strides toward financial intelligence and freedom. Just one comment on the rental home. As someone who owns single and multifamily investments as the major source of retirement income I think you need to rework your numbers as I don’t think it will cash flow as stated. You should shoot for a property whose rent is 1% of the purchase price (in this case it would need to be $2,700). You will need to try to get a property at a lower price or be assured you can get higher rent. You will also need to have enough cash flow to fund a replacement reserve as all property eventually needs repair/replacement. You can screw up real estate investment 2 ways: pay too much or mismanage it after you buy. Done right though it’s a great path to wealth.